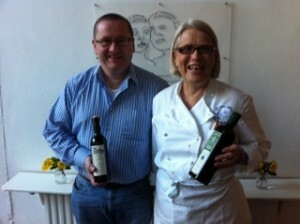 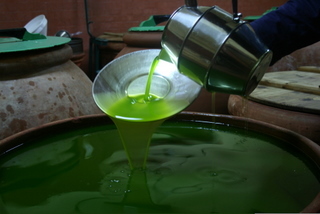 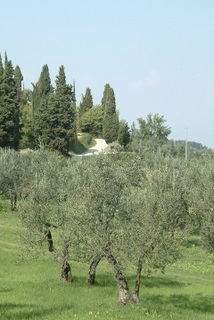 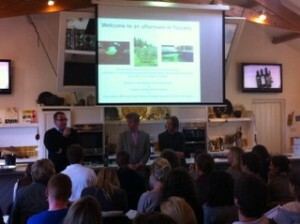 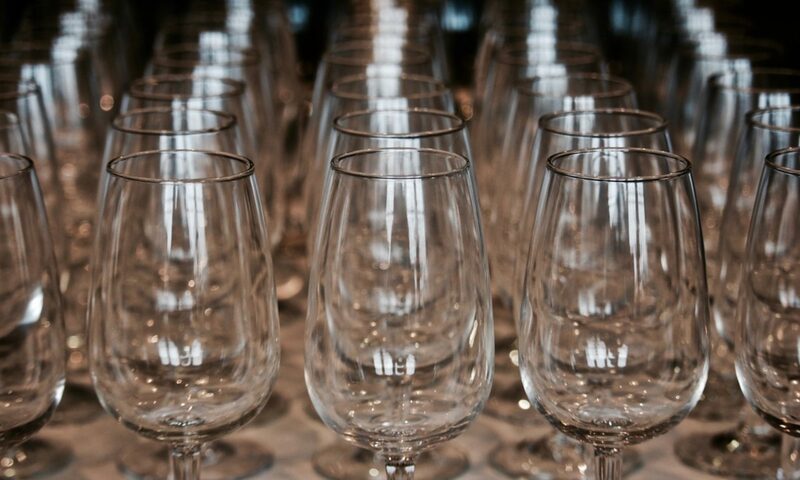 We had an amazing day with the launch and masterclasses of the new season’s Tuscan Olive Oil. 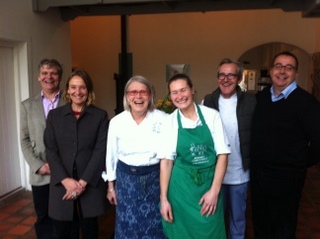 I hope some of these photographs can convey the excitment and sense of occasion in Ballymaloe throughout the day – Billy Lyons ‘Restaurants and Food in Cork’ also has written a very nice article about the launch here. 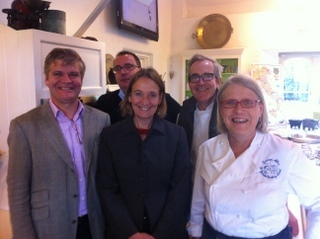 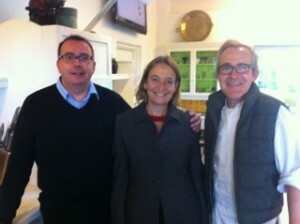 Pictured, in the entrance hall at the cookery school, are Bea Contini Bonacossi, from Capezzana, Carmignano www.capezzana.it, Federico Giuntini, Selvapiana, Rufina www.selvapiana.it, and David Gleave MW, of Liberty Wines who showed the olive oil of Fontodi www.fontodi.com, along with Darina, Rory and Gillian. 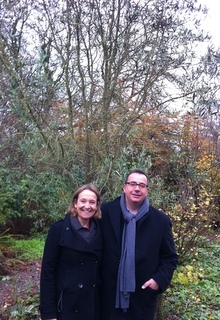 Beatrice and Federico, pictured by the Olive Tree in the gardens at the school. 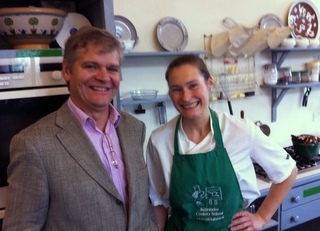 Gillian Hegarty, pictured with David Gleave MW, prepared an amazing lunch, along with Rory O’Connell, specially for the occasion. 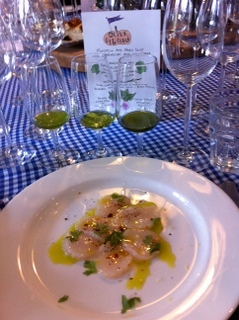 Roaringwater Bay Scallops with Capezzana New Seasons Extra Virgin Olive Oil – delicious! We all very much appreciate the time and effort that Beatrice, Federico and David, took to come to Ballymaloe, and our thanks to them for a memorable day – we look forward hopefully to welcoming them back soon again.